Just a quick update to let you all know about an awesome event that's coming up soon. It's going to be awesome! And as you can see from the CS logo there, Cherrystems is involved! We'll be circulating around the room with goodies, condoms, and lots of information for all you wonderful attendees. Not only that, but there will be a photobooth with props, QueerView DJs will be spinning 'til late, and you get to dress up! Pin Ups and Sailors is not only the name of the event, but also an awesome costume dress code. 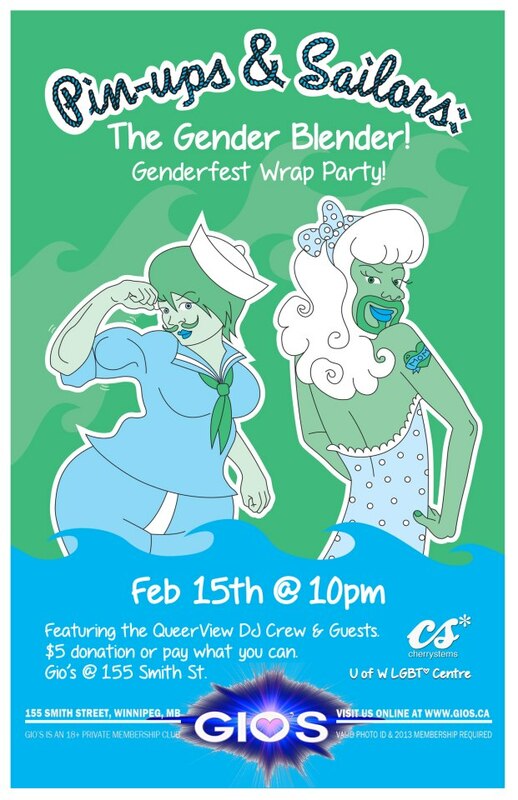 Gender-bending outfits saucily encouraged. It'll also sadly be the last night that Gio's will be open here in Winnipeg. I'm dearly hoping that they'll open in a new location, but for now just come out and show your support for such an awesome community organization that has helped the LGBTQ* community in so many ways since its inception.